As a studio, we decided to organise regular ‘film nights’ where a film, documentary or drama is chosen on the subject of housing for entertainment, to highlight concerns to provoke discussions and to add another dimension to our research and our projects. Date viewed by the studio: Monday 17 November 2008. Venue: Meeting Room, Floor 14, Arts Tower. Date viewed by the studio: Monday 8 December 2008. The first film in our series was a British television play by Jeremy Sanford, directed by Ken Loach which was set and filmed in the 1960s in a period of widespread unemployment and homelessness. 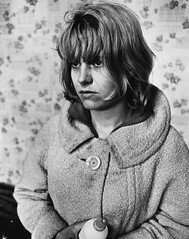 Broadcast on the BBC1 on 16 December 1966, Ken Loach used documentary format to emphasise the reality of the social problems conveyed. This drama follows the lives of a young couple, Cathy and Reg, as they struggle to cope financially when Reg becomes injured and loses his job. The film depicts the couple and their children, having to leave their rented modern high-rise home and begin their decline into poverty. They inhabit a series of housing as their situation gradually deteriorates, from social housing, to living with their parents, squatting in a dilapidated house and inhabiting a caravan. As the story progresses, the couple is forced to separate in order for Cathy to take up temporary accommodation for herself and her children in an institution which did not permit husbands. What was particularly poignant was the gradual deterioration of the couple’s relationship which ran concurrently with their increasing financial distress. Eventually, their children were forcibly taken away from Cathy by the social services because of their homelessness. 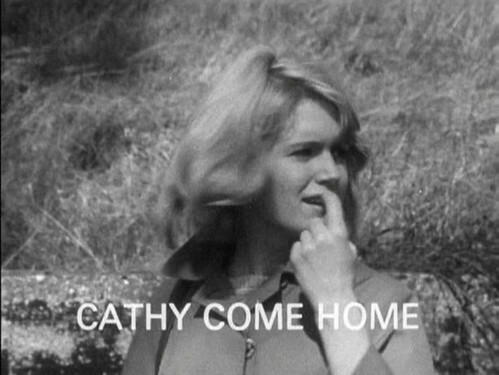 Cathy Come Home was watched by a quarter of the British population which brought the great problems of homelessness and unemployment to the forefront where previously, it was barely discussed by the media. It caused some controversy to its ‘drama-documentary’ format which caused some viewers to believe it was a documentary but generally its realistic visuals emphasised the reality of the situation. This film led to public outrage about the state of housing and may have provided some impetus for changes to British Law. The high profile of the drama helped reinforce the launch of the homeless charity Shelter which was established a few days after the film was broadcast. It was an important film for the studio because it helped locate ourselves within the history of housing. Things may have improved since the 1960s in terms of poverty and homelessness but it is still a very large problem which is increased by a rising population and expensive housing. In the context of the current economic crisis, housing is an important social issue as ever and as such, is a concern for our studio. 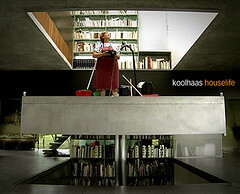 Filmed 10 year after the building was constructed, the camera accompanies housekeeper Guadalupe Acedo as she performs her daily chores. She explains the building as she understands it e.g. describing a cantilevered roof as ‘hanging’ and pointing out the good aspects of the house as well as the faults and there are quite a few faults after a decade of use. We she her struggling to clean narrow metallic staircases and handling long folds of curtains which unveil a full facade of glazing. A contrast is shown between the design sensibilities of the cleaner and the architect where she admits her dislike of ‘grey’ which is omnipresent and she comments “if I had money, I would not build a house like this”. 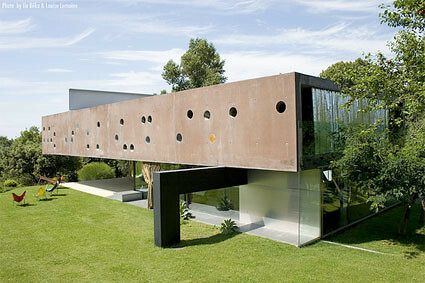 In this film the vision of the architect collides with the reality of working with it. “Two systems are colliding here: a kind of platonic conception of cleaning and a platonic conception of architecture”- Rem Koolhaas. “’Koolhaas HouseLife’ represents the leading edge to an interpretive approach of the physical and objective reality of a given space.”- Stefano Boeri. Where there may be some dispute about the accuracy of the film, after all there is a person behind the camera choosing the shots and offering direction but it reminds us that the buildings we design will age, deteriorate and will have to be maintained. It could suggest that the buildings we design in the studio, so accommodate these changes.